Arrive Ahmedabad. Check into the hotel, freshen up, After breakfast leave for Gandhi Ashram, later drive down to Askshardham Temple. Visit Ashardham Temple enjoy the Pradarshani at Akshar Hall. Later on way back to Vaishno Devi Temple and Iskon Temple. Later in evening enjoy the night market at Law Garden. Overnight stay in Ahmedabad. Today enjoy the Heritage Walk of Old Walled City of Ahmedabad, Later visit Calico Museum, Hanuman Temple, Rest of day free for local market sightseeing & night stay in Ahmedabad. Today early leave for Dwarka, Reach Dwarka by evening attend evening Aarti at 7.30 pm, a holy dip in Gomti River Dinner and Overnight in Hotel Dwarka. Attend Mangla Aarti at 7.00 am later drive down to Nageshwar Jyotirling, Gopi, Bet Dwarka and Rukmani Temple and later in afternoon leave for Somnath en-route visit to Porbander Birth Place of Mahatma Gandhi. Visit Somnath Temple and enjoy the beach of Saurashtra. Over- night in Somnath. Today check out from Hotel after breakfast leave for Diu, Enjoy water sport Nagoa Beach, Visit Khukri Memorial, Gangeshwar, Diu Fort, Panikotha, Overnight stay in Diu. Enjoy early morning walks at the beach side, breakfast at hotel, later visit the old Haveli’s of Diu, St. Francis Church, St. Thomas Church, St. Paul Church, Goghla Beach, rest of the evening at leisure. Overnight stay in Diu. 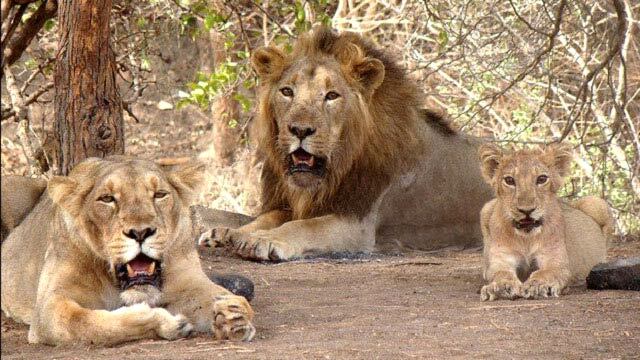 Check out from Hotel Leave for Gir National Park, Lunch at Gir Birding Lodge, enjoy the afternoon game drive by open Gypsy in Gir National Park. Evening free for nature walks for birding. 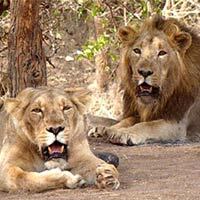 Overnight stay in Gir. After early breakfast leave for Somnath to board a train & tour ends here with sweet memories of Gujarat.